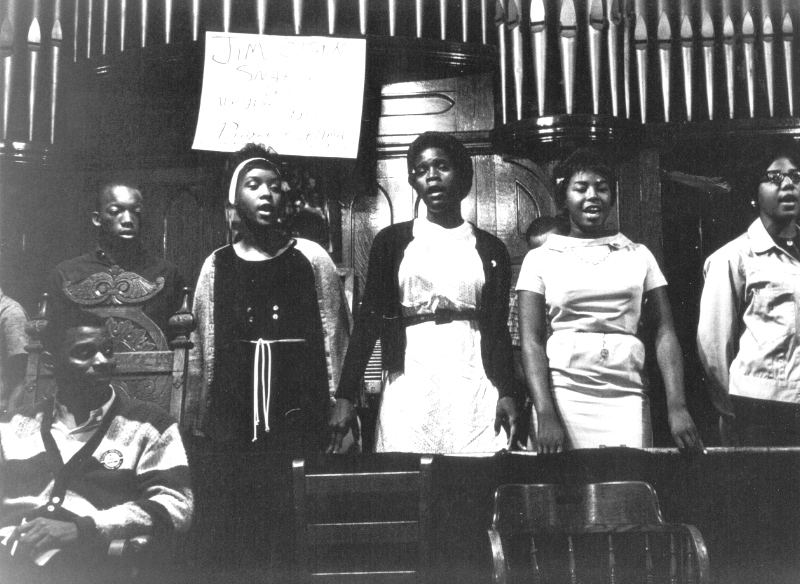 Teenagers lead freedom singing in Tabernacle Baptist Church, 1963. 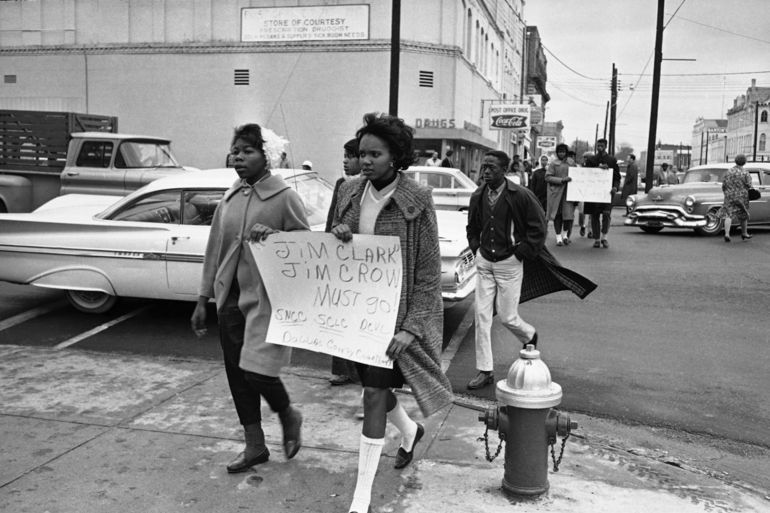 Sheriff Jim Clark arrests two demonstrators who displayed placard on the steps of the federal building in Selma, 1963. 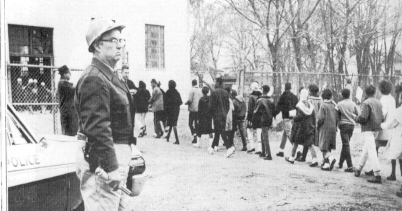 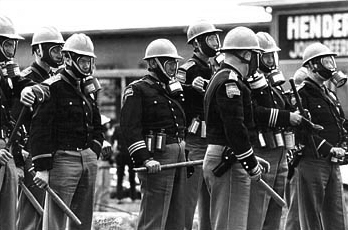 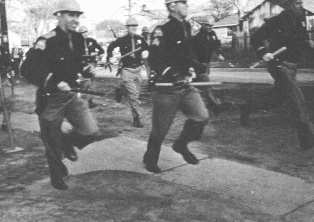 High school students under arrest for marching in support of voter registration, February, 1965. 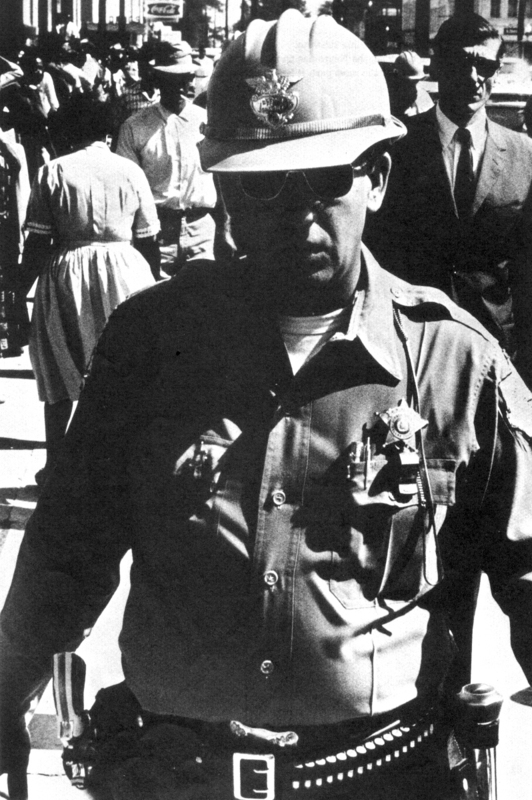 Sheriff Jim Clark supervises their incarceration for crimes against the southern way of life. 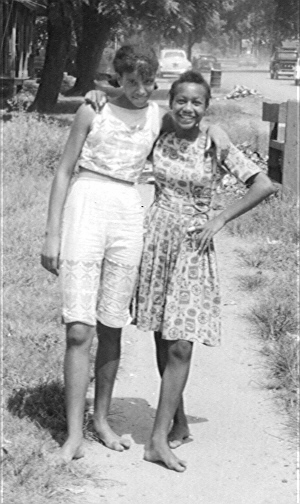 Diane Richardson and Margaret Griffen, two of Selma's nonviolent warriors. 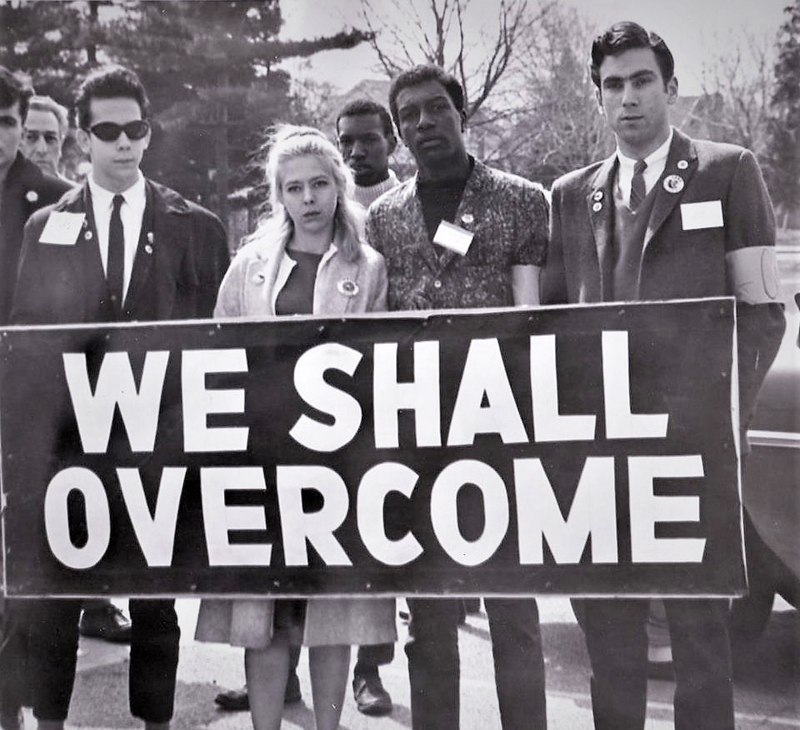 You don't have to be a man with a gun to be a hero. 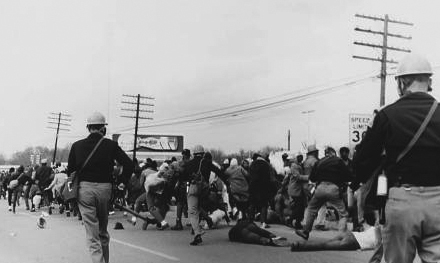 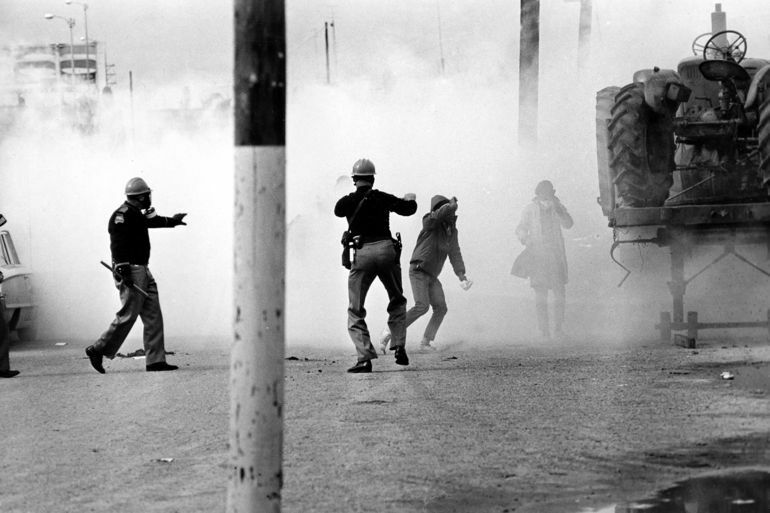 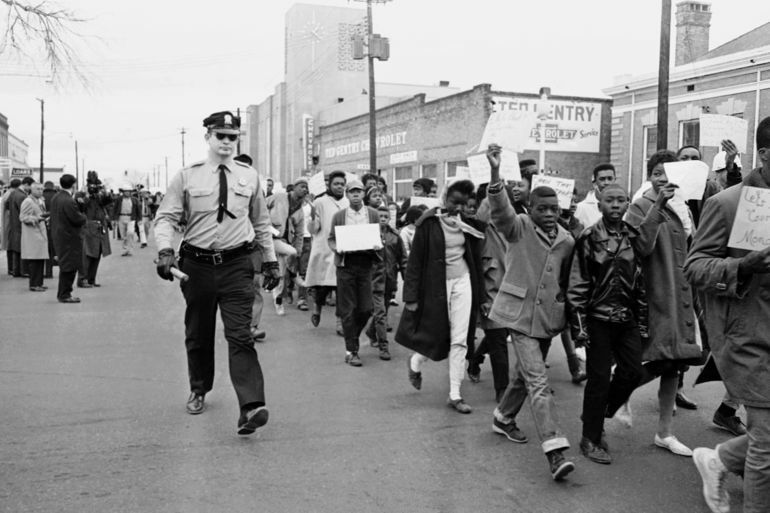 Young nonviolent warriors of Selma. 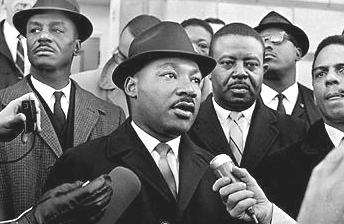 Dr. King, Rev. 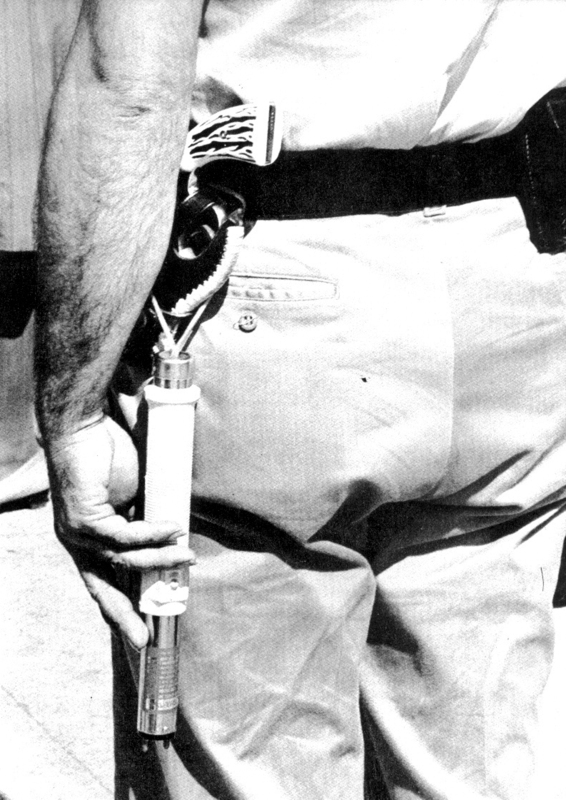 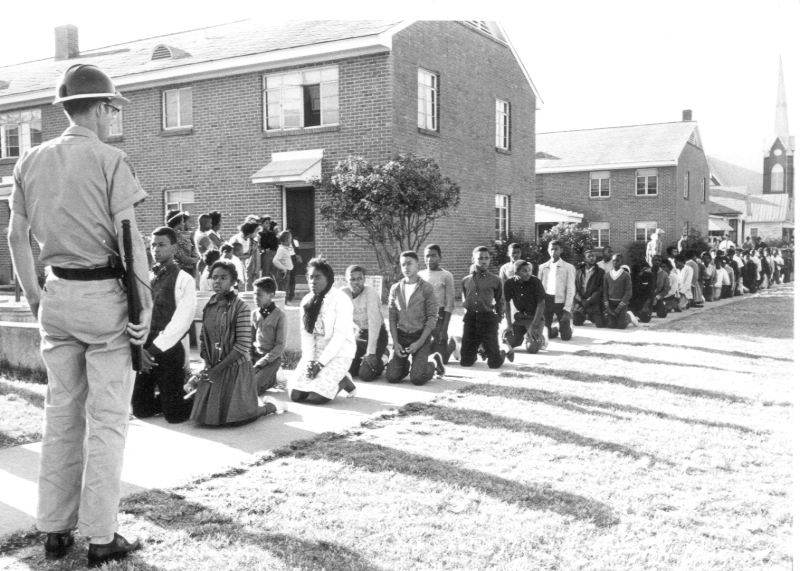 Fred Shuttlesworth, Rev. 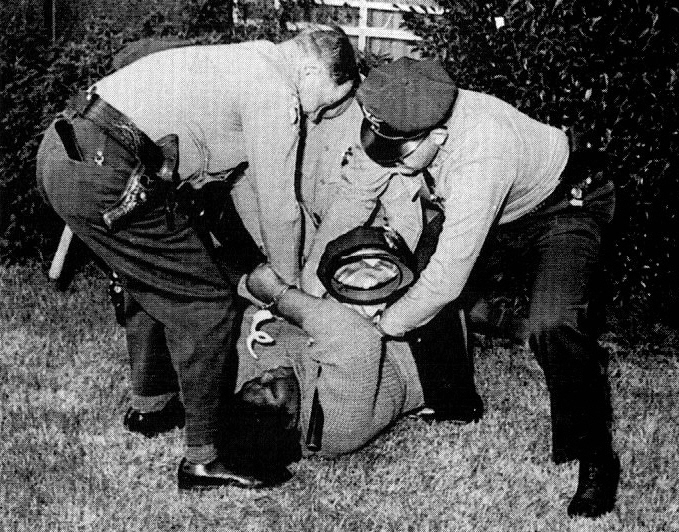 Ralph Abernathy, and Rev. 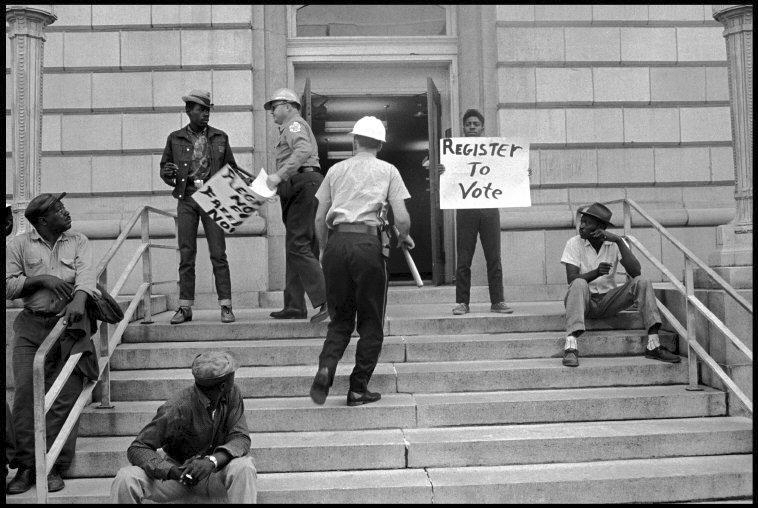 Andrew Young demanding voting rights on the steps of the Dallas County courthouse. 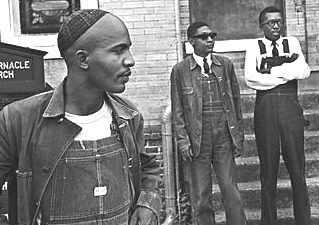 SCLC organizers Rev. 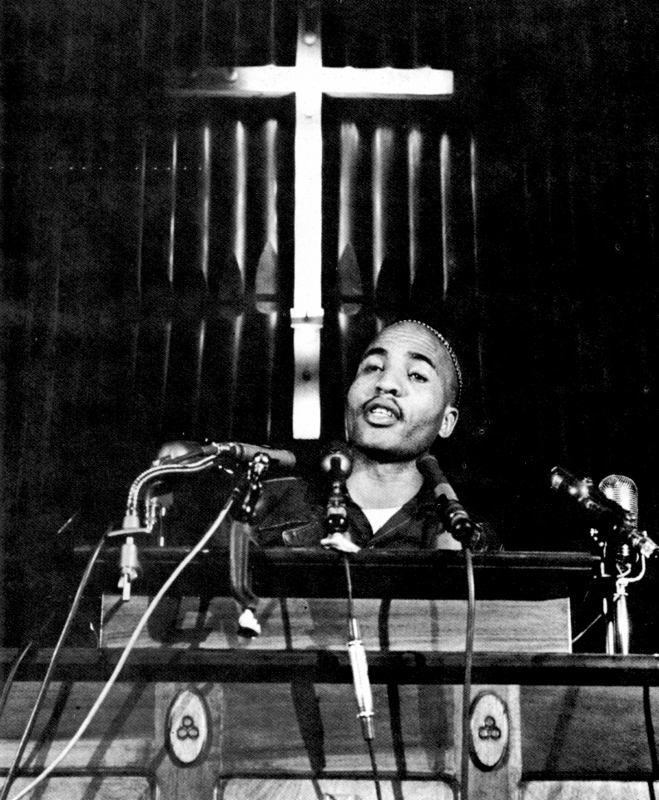 James Bevel, Rev. 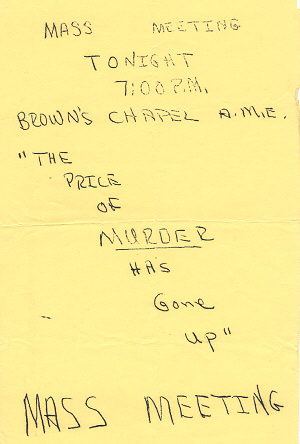 Richard Boone, and Rev. 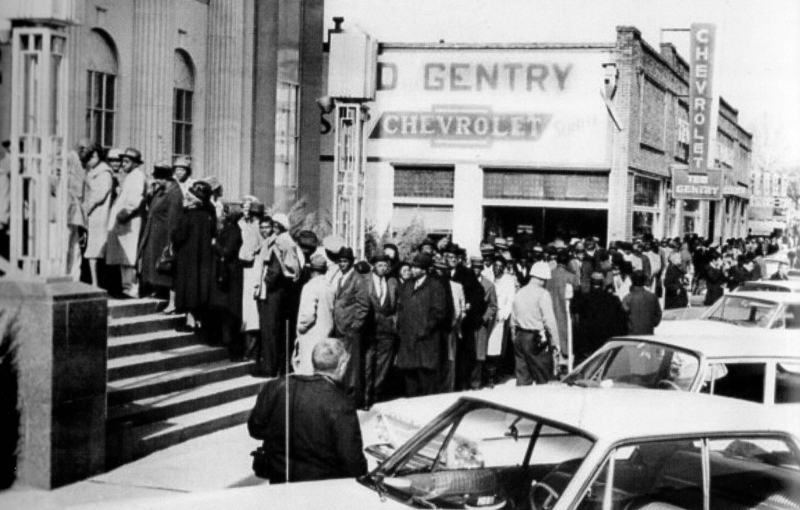 Harold Middlebrook outside of Tabernacle Baptist Church in Selma. 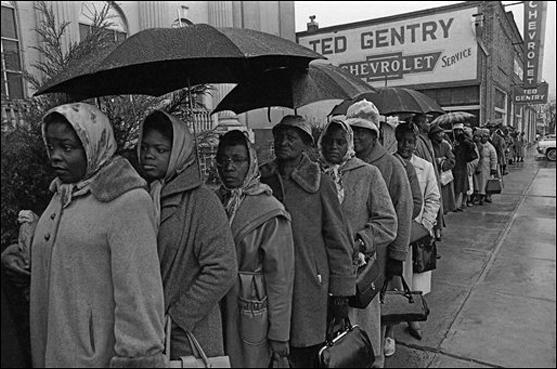 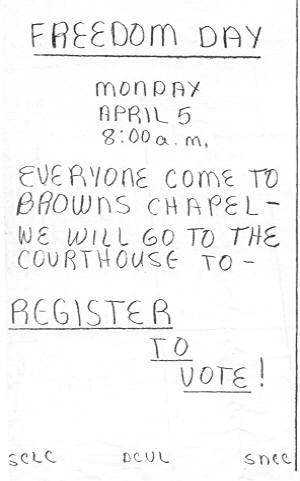 Afro-American citizens of Selma line up at the courthouse to register to vote. 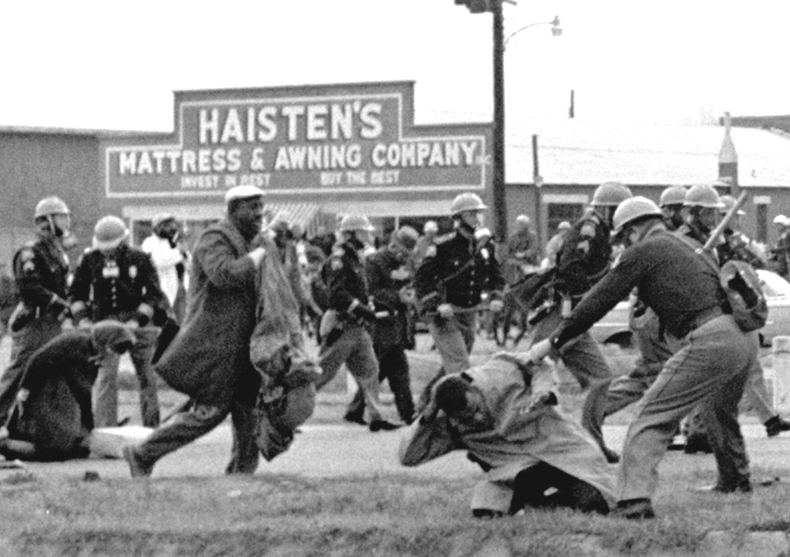 They are denied. 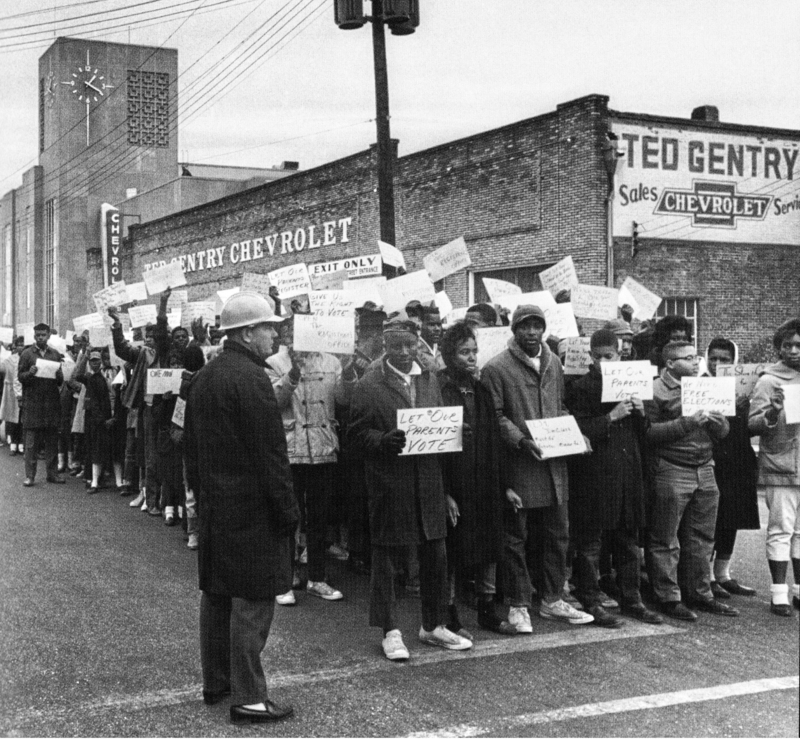 Selma students picket and march in support of voting rights for their parents. 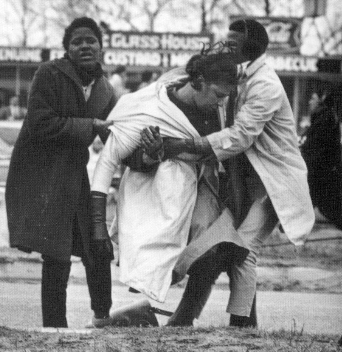 The students are arrested and led off to jail for the crime of peacefully protesting for voting rights. 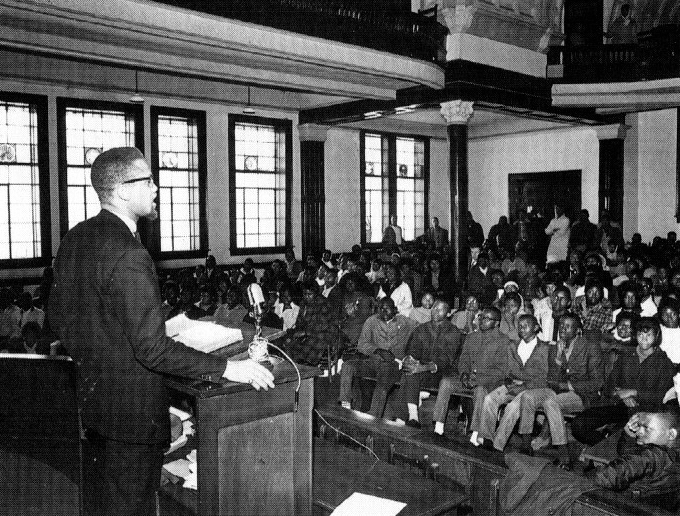 freedom sermon in Brown Chapel. 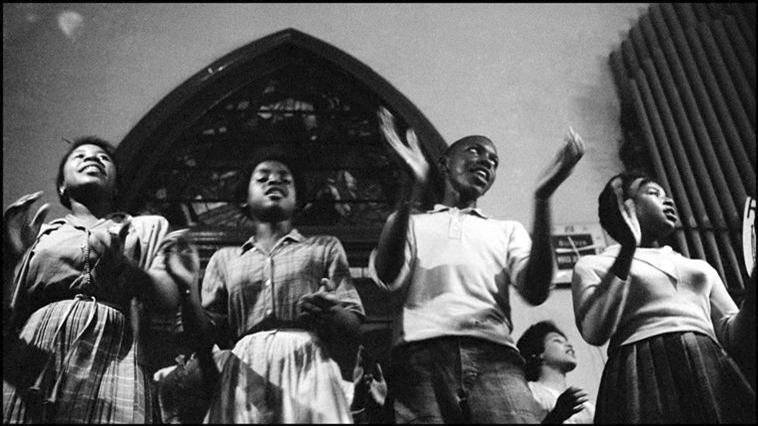 High school students leading freedom songs at a mass meeting in Brown Chapel. 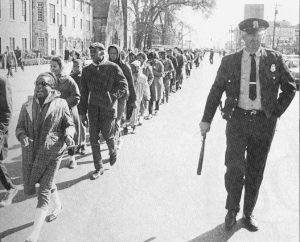 Young students march for voting rights and are placed under arrest. 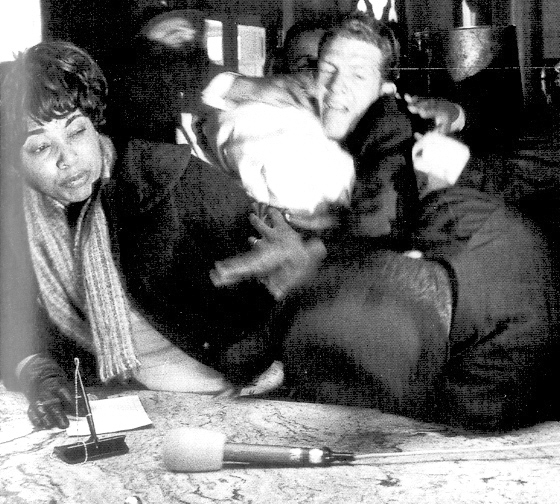 A white racist attacks Dr. King and Dorothy Cotton as they check into one of Selma's historically segregated hotels. 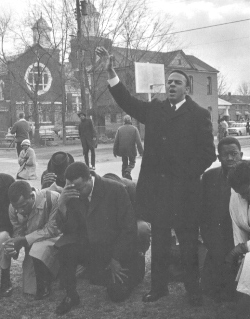 Preaching a sermon of freedom on a cold winter day. 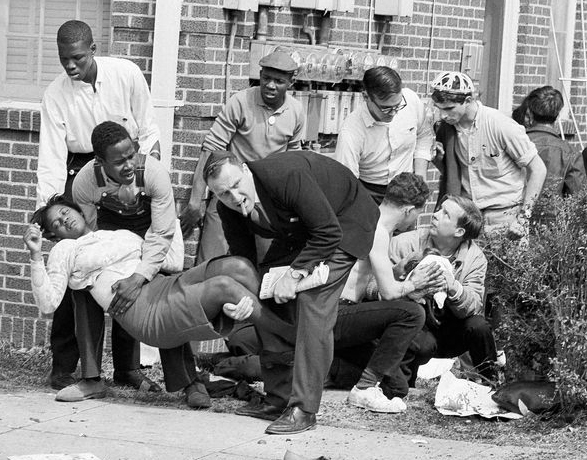 From left, John Lewis of SNCC (kneeling), Hosea Williams of SCLC (kneeling), and Andy Young of SCLC (standing). 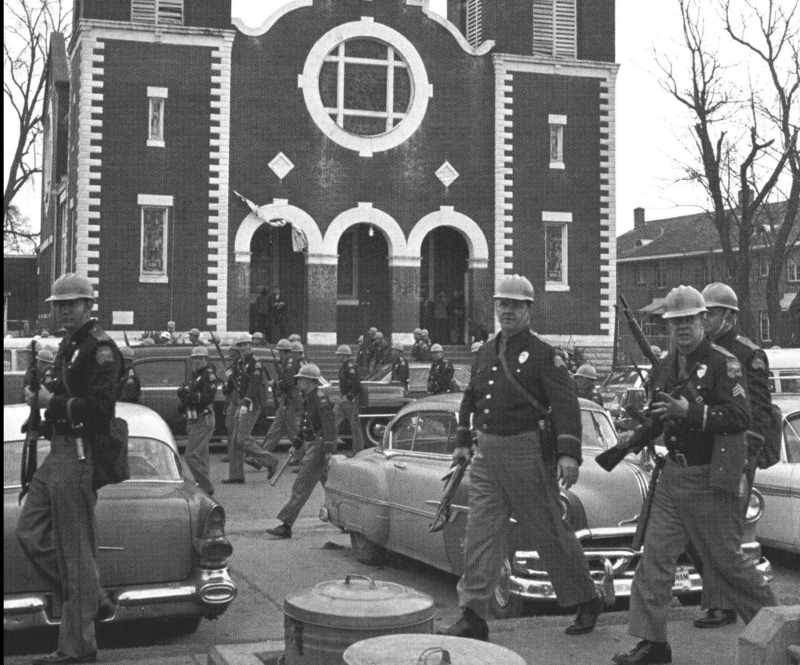 Movement headquarters Brown Chapel is in the background. 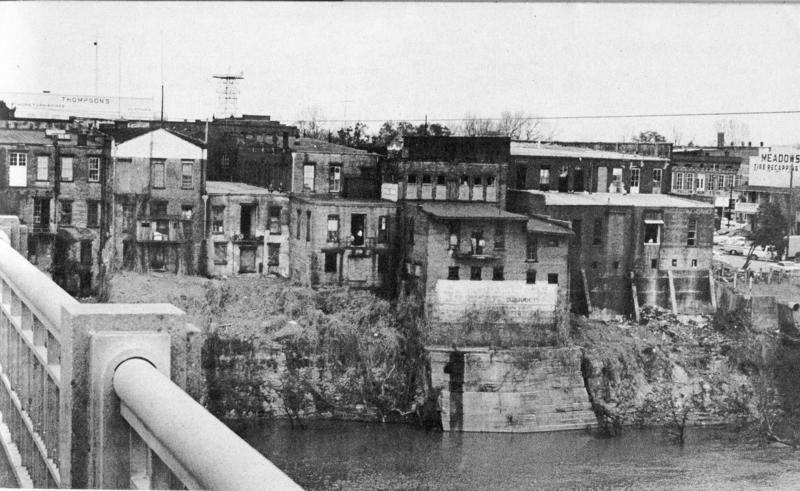 Looking back at Selma from the Edmond Pettus bridge. 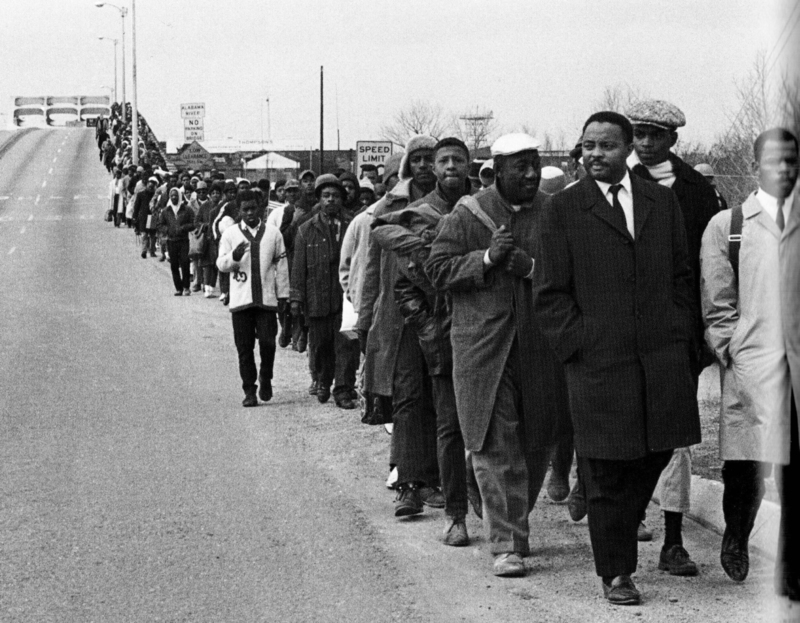 Hosea Williams (SCLC) and John Lewis (SNCC), followed by Albert Turner (SCLC) and Bob Mants (SNCC), lead the march down from the Edmund Pettus bridge towards the waiting troopers and possemen. 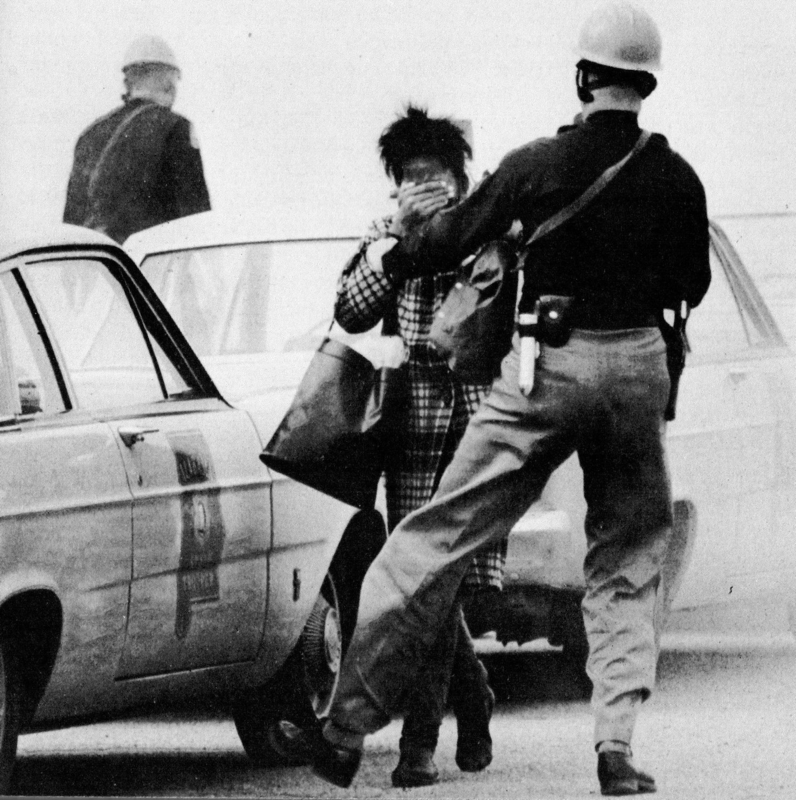 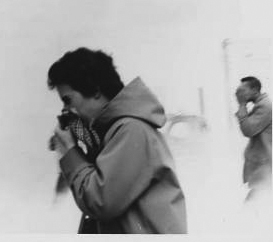 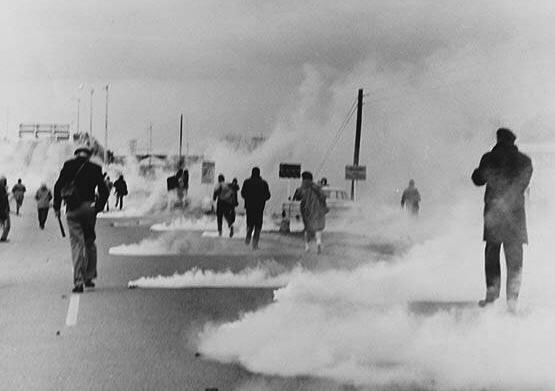 Trooper kicking woman blinded by tear gas. 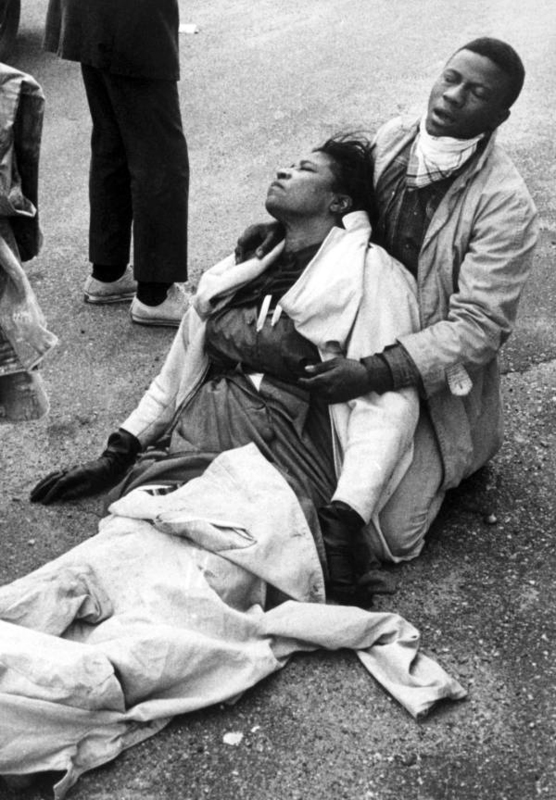 Selma Movement leader Mrs. Amelia Boynton after being gassed and clubbed to the ground. 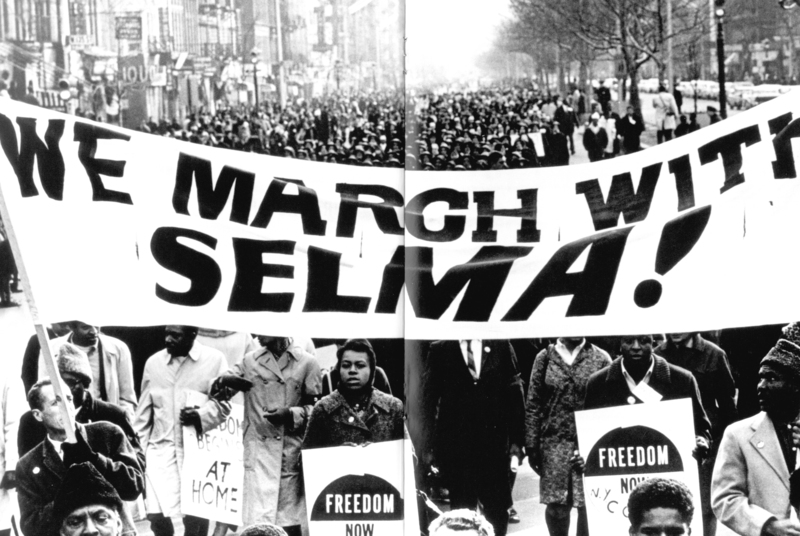 Around the nation  Around the World  demonstrators support the embattled citizens of Selma & Montgomery and the demand for Voting Rights Now! 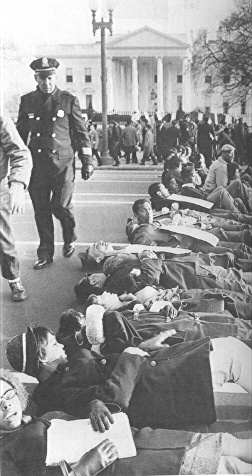 Protesters block Pennsylvania Avenue in front of the White House. 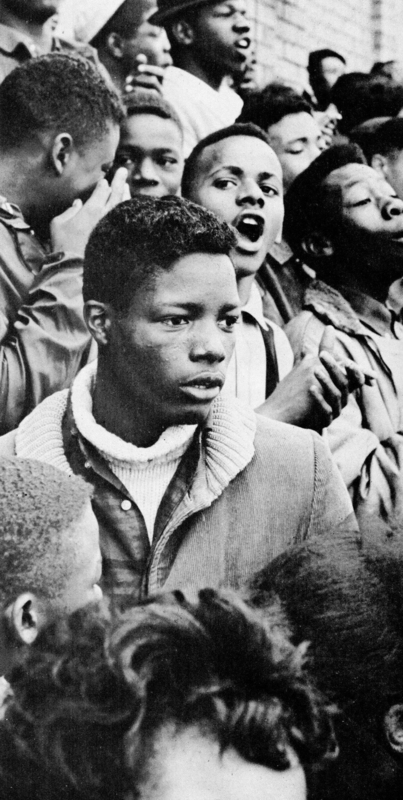 Long Island CORE members at Harlem march in support of Selma after "Bloody Sunday."